The Business Archives Council of Scotland’s 2018 conference will be held in Dundee on Friday 12th October at the Meadowside offices of DC Thomson. 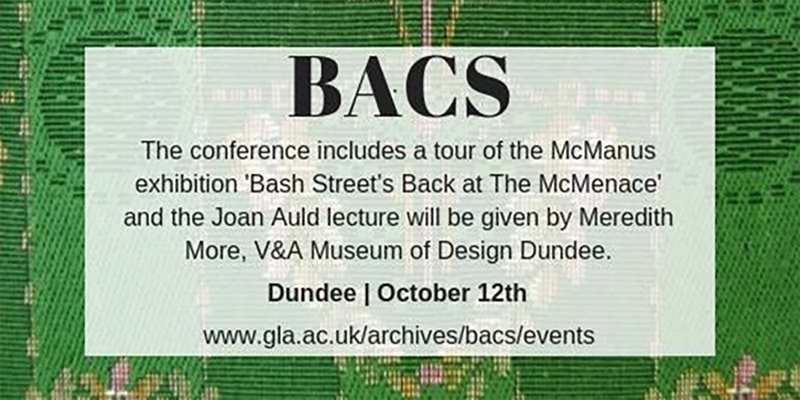 The theme is art and design in business archives and the day will include the AGM and a viewing of the ‘Bash Street’s Back at The McMenace’ exhibition – a look at Beano at 80 at the McManus. 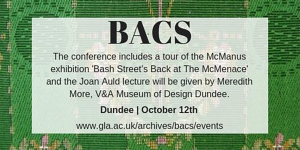 The annual Joan Auld Lecture, founded in memory of Dundee’s first University Archivist will be given by Meredith More, Curator Scottish Design Galleries, V&A Museum of Design Dundee. The conference will start at 10:30 and finish at 15:30/16:00 allowing enough time for a visit to the recently opened V&A afterwards if attendees wish. Visit the V&A Dundee, open until 5pm and a 12 minute walk from the conference venue.